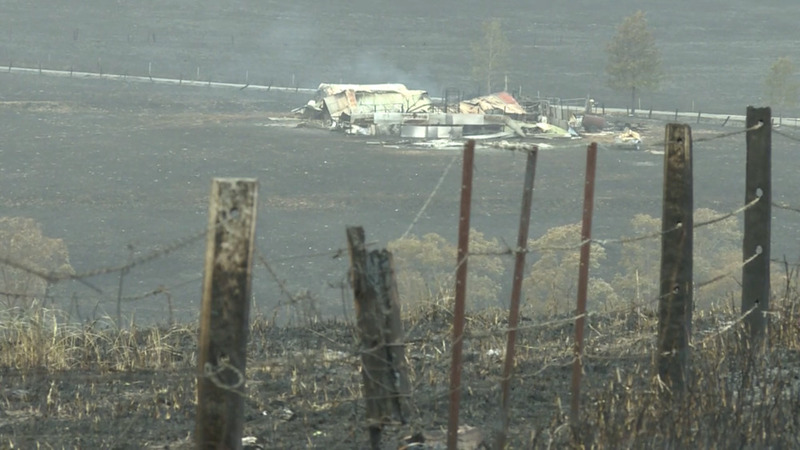 A 40-year-old woman has been charged with starting a bushfire at Tabulam, west of Casino, which has destroyed several homes in the state’s far north. Police allege the woman set fire to rubbish located in a large steel container in her backyard, then left it unattended on Tuesday morning. The flames then proceeded to spread to bushland behind her home. When she discovered the fire had spread, she rang Triple Zero and unsuccessfully tried to extinguish the blaze with a hose. She’s been charged with intentionally cause fire and be reckless to its spread and set fire during total fire ban, she’ll face Casino Local Court on February 27. The Tabulam bushfire remains at an emergency level on Wednesday night, with at least three homes destroyed and properties still under threat. BUSHFIRE EMERGENCY | An emergency is unfolding in the state's north – communities in the path of a fast moving blaze.Five homes have burnt to the ground and more are under threat at Tabulam, as crews face the worst conditions they've seen this season.